The name of Tyma Raitaru will forever be associated with the term freelance research. Raitaru, a Caldari by birth, pioneered what has today become a popular profession among rogue scientists and scholars around the world of EVE - that of the knowledge nomad, selling his work to the highest bidder. Raitaru began his career working in the R&D department at a company owned by the Ishukone Corporation. He became increasingly frustrated about the fact that Ishukone took all his work and inventions and made them their own, giving scant credit to the creator. In the end he left and set up his own laboratory under his sole control. There he struggled for some years, constantly on the brink of financial ruin. It was only when he turned his focus toward the most practical of all inventions - that of weaponry - that his career really took off. Forty years ago Raitaru offered the blueprints for the Achilles missile for sale on the open market. 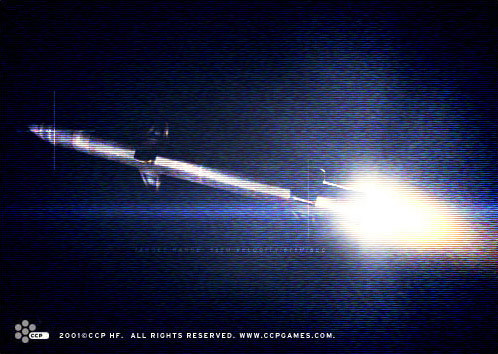 The Achilles missile was at that time the best missile available and every empire and every faction wanted it. The Achilles missile didn’t employ any revolutionary new technology, but instead it combined many solid concepts and designs to make it extremely reliable and powerful for a small price. In the design of Achilles Raitaru combined the innovative approach of the researcher with the practical mindset of the craftsman. Ever since, those that have followed in Raitaru’s footsteps have been most successful when they take existing technologies and products and combine them to invent some superior product. Most of today’s freelance researchers work predominantly in the fields of weapons and ship equipment, and they frequently operate out of space stations or lone research outposts.